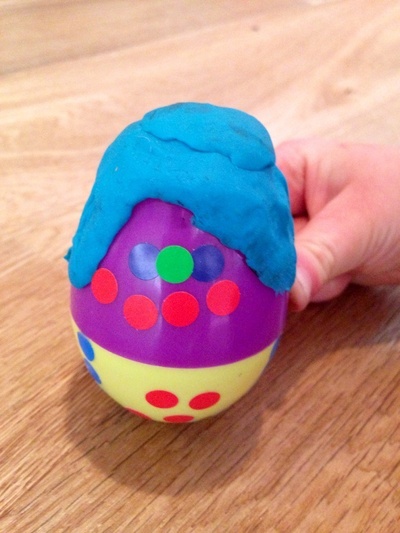 Create your own easy wibble wobble egg. It will sit upright and wobble about when you push the top. 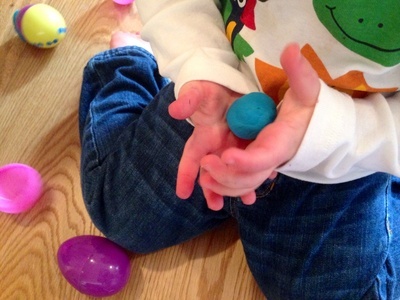 Roll a small ball of play dough or modelling clay. 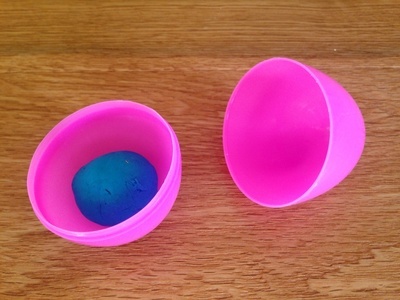 Put the play dough ball inside the plastic egg. 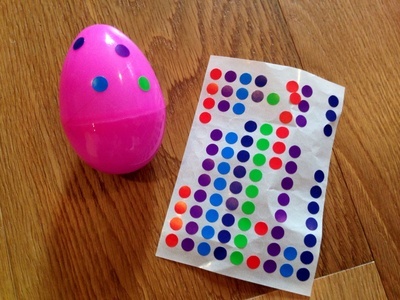 Decorate with stickers or other decoration items. 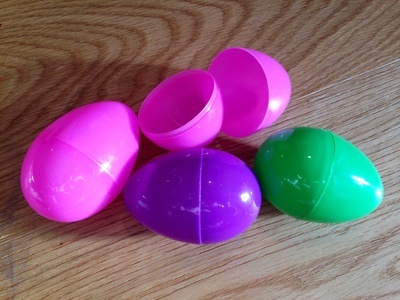 Have fun wibble wobbling your egg! 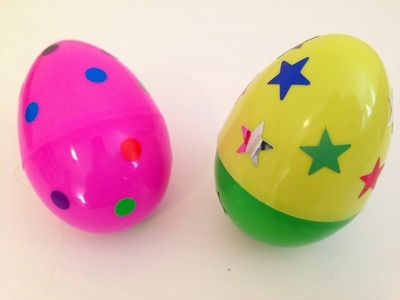 You could also try covering your wibble wobble egg using a decoupage technique to create a sealed egg. Click here to find out how.